Fabinho declared Liverpool a 'giant of a team' after the Ligue 1 title winner agreed a deal to join the club from AS Monaco on July 1. The Brazilian midfielder believes he can improve further under the guidance of Jürgen Klopp having impressed across 225 appearances during five years in France. He completed the formalities of his summer transfer to the Reds on Monday at Melwood and later explained to Liverpoolfc.com why he did not need long to decide his future lay at Anfield. 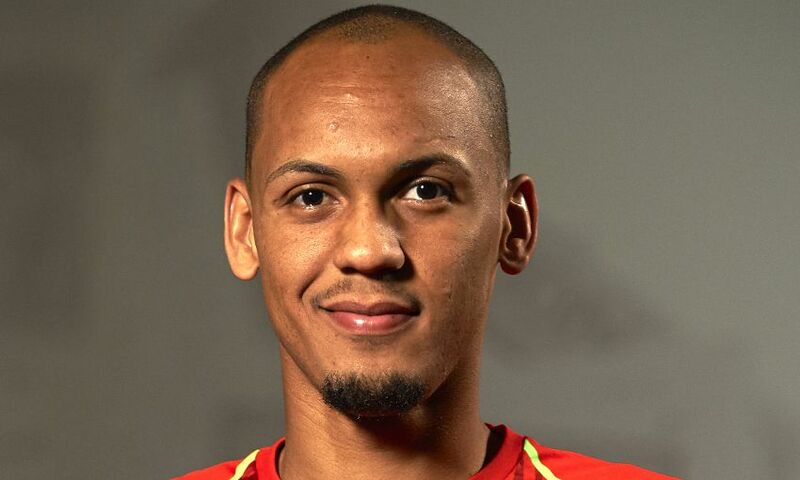 Fabinho also revealed how his skills are transferrable to the Premier League, what he made of his new team’s performances last season, and much more in a wide-ranging chat. Welcome to Liverpool Football Club – how does it feel to have sealed the move? Thank you. I am very happy. I am really excited about this move. This is something that I always wanted – this is a giant of a team. The infrastructures of the club look exceptional. I look forward to the time and the day I’ll put the shirt on and get on the pitch and see how the supporters welcome my arrival. I knew that this move could happen very quickly. I was hoping that the move would happen fast, too, and I am very happy that the move happened at the beginning of the window. I’m pleased that I’ve signed for Liverpool and I was waiting and expecting that everything would go well. I wanted to travel to Liverpool because I wanted to know how things would develop. I wanted to know how things work at this football club and what you need to do in the interviews, so I am very, very pleased with the outcome. You’re 24 and spent five seasons with Monaco. Was now the right time to move? Yes, I believe so. I arrived at Monaco as an unknown player and during the past five years I was able to grow a lot as a football player. The work that I developed there was very good. I would like to thank the managers and the club for what they did for me, as well as the Monaco supporters and the owners. They developed a lot of things with Monaco because they picked up the team in the second division and were able to take the team to Ligue 1 as well as winning it and going to the Champions League semi-finals. When I came in, it was during this process and I had to work very hard. I owe everything to them and the belief they placed in me. 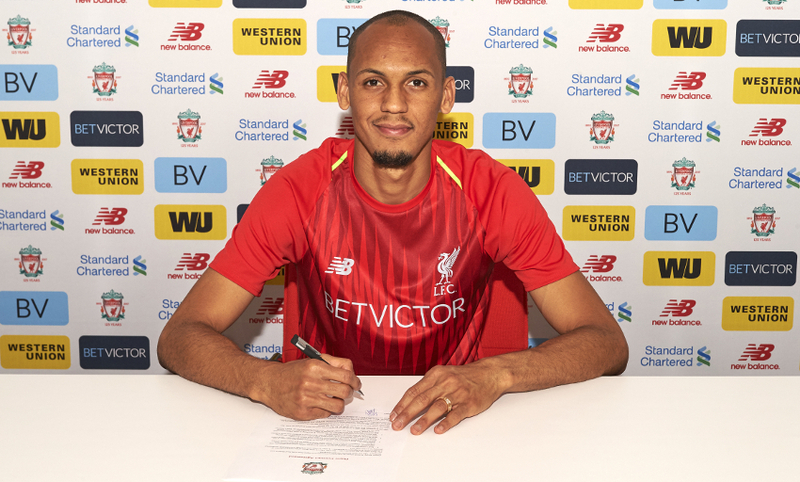 I arrived as an unknown player and I leave as Fabinho – someone who left history at the football club. How would you describe your own game? I believe I am a player that can organise the game well for my team. I play with a lot of intensity and I’m quite strong in man-marking. Unfortunately, occasionally I get some yellow cards for that but I think that won’t be a problem here. Hopefully I will have no difficulty in adapting to this type of football. I know that the type of football here is quite intense and physical but I think I got some of that while playing in France and I hope I won’t find any problems to adapt to this league. How much have you seen of Liverpool this season? Yes, I have seen games this season. I find it a very intensive team, very quick. Of course, what shows the most is the speed of the transition – they attack very fast and they make the opposition suffer difficulties. Whether it is quick play or a counter-attack, they are very fast. They can play one-twos very quickly and for that reason, the forward players show more than the others throughout the season. I’ve followed quite a few games and of course, I was interested to find out more about Liverpool. This season, I was able to watch a few games. What makes this club so appealing to join? There are many things. The infrastructure at the club is very good. This was one of the reasons why I chose Liverpool. Also, Liverpool showed a lot of interest in me quite early. That was also very important because I felt the club wanted me to come. Then, I was able to know a bit more about the city of Liverpool. Unfortunately, I wasn’t able to meet Liverpool supporters – I have only seen on video or television the way they are. From what I have seen so far, they are fantastic. Also, other players that played here – they only say good things about Liverpool. What they said to me about when they played at Anfield, it makes me more willing to start playing for this football club. This was a very positive point for me to make my decision. Liverpool are in a league that is probably the best in the world, so there were many positive points for me to choose to come and I am very, very happy to be here. Jürgen Klopp is a manager who improves everybody he works with. Where can you get better in the years to come? The manager has said that he wants to work with great players. I’m still young, so I have a lot to learn in football and with Klopp I will have the chance to carry on growing and to keep learning. Also, he plays a different type of game compared with what I was playing at Monaco. I don’t know very much about his past work but I had the opportunity to speak with some players who have worked with him in the past and they told me that he’s a very good manager, so I hope that I will meet him soon and be under his instructions. I will work very hard with him and I’m sure I will improve a lot under his leadership. You’ll be teaming up with a compatriot in Roberto Firmino next season. Did you speak to him about the move? Yes, we spoke a bit more about how the city was, about the infrastructure of the club, the city and we also spoke about the coaches and how they do their work. So I was able to know a bit more about Liverpool through Firmino. I had been with him at the Brazilian national team on a few occasions. I know he’s a fantastic person, his background is from nice people. He is also very good for someone who comes to a new country, a new city – someone who speaks the same language. This will of course make the adaptation much easier. Is his development with Liverpool and this manager something that convinces you it’s possible to do the same yourself? I have not thought about that point. When a football club like Liverpool comes after players, like they did with me, I didn’t have to give much thought about it. A football club of this size coming after my services, I didn’t think that much about coming over. I’ve been following Liverpool for a few years, in particular since Firmino arrived. After he arrived here, he was able to achieve higher development at this football club. Because he had success, I hope the same happens to me. Will it be an easy transition because of the amount of time you’ve already spent in Europe? Brazil are set to play at Anfield on Sunday. You won’t be involved in the game but will you be watching? No, unfortunately I will be on holiday. I have my journey booked with my family. If I didn’t book my holidays with my family, if I had become aware that Brazil were playing here, I would stay here to watch the match. But unfortunately, it’s not going to happen on this occasion. How do you think it will feel to pull on the Liverpool shirt for the first time? I imagine a lot of things. In particular, coming to the ground and going on the pitch. I have a lot of expectation for that day. I’m quite anxious for that day to come. There are many things crossing my mind at the moment – how things will happen, what will happen. It will be something new and something I will enjoy. I’m quite anxious waiting for that. What are your biggest aims for your time with Liverpool? I came to Liverpool because I wanted to leave Monaco for an ambitious club, a club that plays to win every competition. Liverpool Football Club is one of these teams. I will try to create my own history at this football club. Hopefully, on a personal level, I’m able to win titles with this club. I will try to grow and learn and improve myself, and to be part of the club’s history. Finally, what is your message to the LFC fans? My message is that I arrive here to help this football club. I know how big this football club is, so I will give my very best on the pitch to help the team. I hope I will be in a position to be honoured to represent this football club.